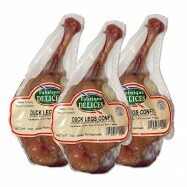 Buy a wide selection of meat online from Levillage.com!  Our meat selection has been carefully sourced among responsible U.S. and French producers. 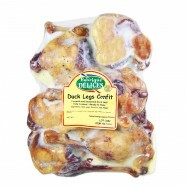 Levillage.com’s meat selection includes duck meat, pork meat, lamb meat, game and venison, poultry, escargot / snail meat and specialty meats. Since 1997, this finest and healthiest meat selection can be delivered at your doorsteps within 24 hours. 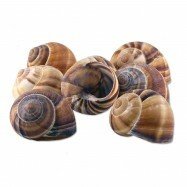 The Helix or European land snail is distinguished by its spiral and circular shell. 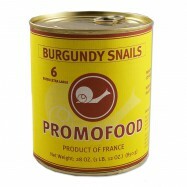 It is more tender and considered by gastronomes as the tastiest. 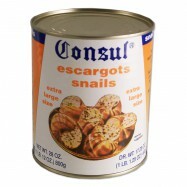 Contains 72 snails. 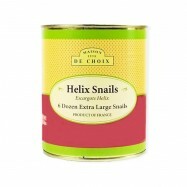 These extra large shells come from Burgundy, and are ready to be filled with your favorite snails recipe. Comes in a bag of 24 shells.